Coming soon to the historic Southern Theater: "Good Night at the Southern Theater," a new Monday night cabaret series designed specifically for performing artists developing new projects. Curating the series is Minnesota dance artist Kaleena Miller, co-director of the Twin Cities Tap Festival. “We want to give people space to try out whatever they are working on,” said Miller, who was recently named a program associate at the historic Minneapolis theater. 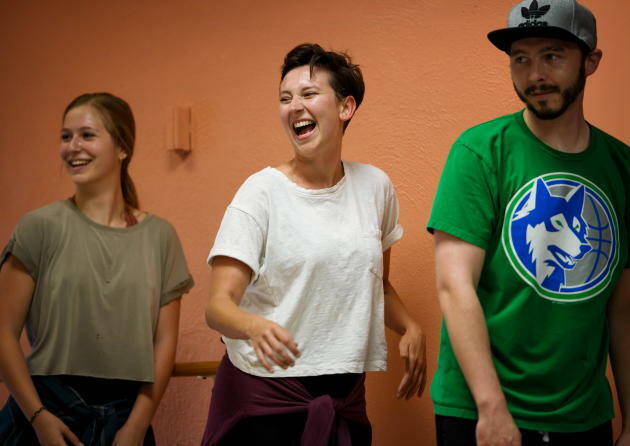 With everything from theater and dance to music, spoken word and comedy in the mix, the series promises an eclectic experience for young and adventurous theatergoers. Miller, 34, has a long history with the 1910 theater, with its dramatic brick proscenium arch. She first performed there as a high-school student with Balls Cabaret, the venue's long-running weekly midnight cabaret. More recently, she presented evening-length works at the Southern with her eponymous dance troupe. “I’ve artistically grown up in the space,” Miller said. "The space is so lovely to perform in." The series launches April 15 with a 7:30 p.m. pay-what-you-can show. As a “dark” night for many theaters and performing venues, Mondays present a great opportunity for showing new works, Miller said.